Some Very Big, Sky-High Airborne Thinking, pre-WWII. Once upon a time, engineers could do anything, especially in the first third or so of the 20th (American) century. The hopes for technological superstar were often on display in popular and illustrated magazines, though much of the times the dreams were more dreamy than they were engineering possibilities. Some of my favorites among these hopeful projections of the future involve Big Thinking, and floating above these images of great possibilities and reluctant possibilities are thoughts on flight and of luxurious flight, or perhaps even continuous-flight-living. 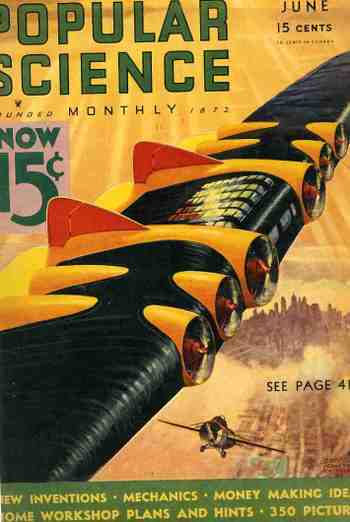 These three images were covers on some of the most popular of the popular sci-tech mags for this period: Science and Mechanics, Popular Mechanics, and Popular Science Monthly. All three of these examples show (in insets) some sort of large, encapsulated, living section that exists somewhere in the superstructure of the aircraft. The first example comes from Popular Science (15 June 1937), and depicts what I think is a large living area under a grid of 54 large glassy roofs—it is not possible for me to estimate the proportions of the craft, though I think it pales in comparison to the next two examples. In both instances the encapsulated areas have trees and roads. In the case of the Science and Mechanics contribution there seems to be six (?) of these large enclosures, the detail of which shows a large swimming pool, a club house, two tennis courts, and some other sporting area, all of which are surrounded by trees. Multiply this structure by six and what you’ve got is one really really big aircraft, which is somehow jet/atomic powered--in any event it is a gigantic craft and it is somehow staying aloft. Well, maybe not,but there aren't too many candidates that pop out of magazines all by themselves and get anywhere near approaching the original. We read what it is not (no electric shock or flamethrower device, hello Johannesburg), but you wouldn't find out what it was until you sent in your name to apply to sell the thing, which I bet was a key. They generated lists then too to sell other stuff, just like today. 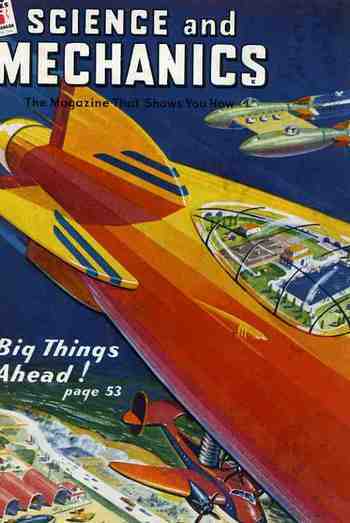 Well, what is really was, or what this was intended to be in this memory of a possible aviation future--or naval future, as this airship was really a flying boat, an "amphibian, a dirigible, a gyrocopter ....an airplane". A ship, really, trying to judge the size of the thing by the position of the portholes/windows--the thing was big, and the "single wing, rotating disk-shaped affair filled with gas or hot air" was even bigger. We read here that the disk was "turned by a gasoline engine" which was located in the center of the ship, leaving still plenty of room for "quarters" for the crew and passengers, making for what the inventor thought was an easy ascent and then, using the lifting device as a parachute, and then having a parachute-y descent, soft and simple. Its hard to judge the size of the machine, but it looks like there are 40-50 portholes or windows running the length of the ship, and so I'd guess that the fuselage of the craft was 150 feet long, which was about half of its overall length, making it about 300 feet overall. The disk then could be 150-200 feet in diameter, giving it an area of close to one acre. Big. (who I wrote about earlier today, here) Verleumder in mind. And as we can see and guess, the wood engraving depicts the lying liar, the defamer influencing a value judgment, the slanderer of a fact known to be true and uttered false, a libeler. A cheat of the fact. In times like these, it is always good to listen closely and follow the logic, and then the money. And then fact-check. The theme of the children of the planets was a relatively popular one, and depending upon the planet, stretches back pretty deeply in western European time. For example, for Children of Saturn, the children born under the astrological influence of the planet, was a subject of artwork reaching back at least into the 14th century, and then finding particular favor (or so it seems to me) among Flemish (like Hemessen, Saenredam) and German (Burgkmair, Pencz) painters. I was attracted to the following wood engravings by Georg Pencz (ca.1500-1550) and the work published by Gabriele Giolito de Ferrari (1508-1578) because of their detail, and also because of the closeness and similarity in their design. Giolito was an important publisher, and put out some of the earliest works in Italy in the vernacular. I know more about Pencz, though, who is more attractive to me because of his extremely find hand and the size (or rather lack of it) of his work. 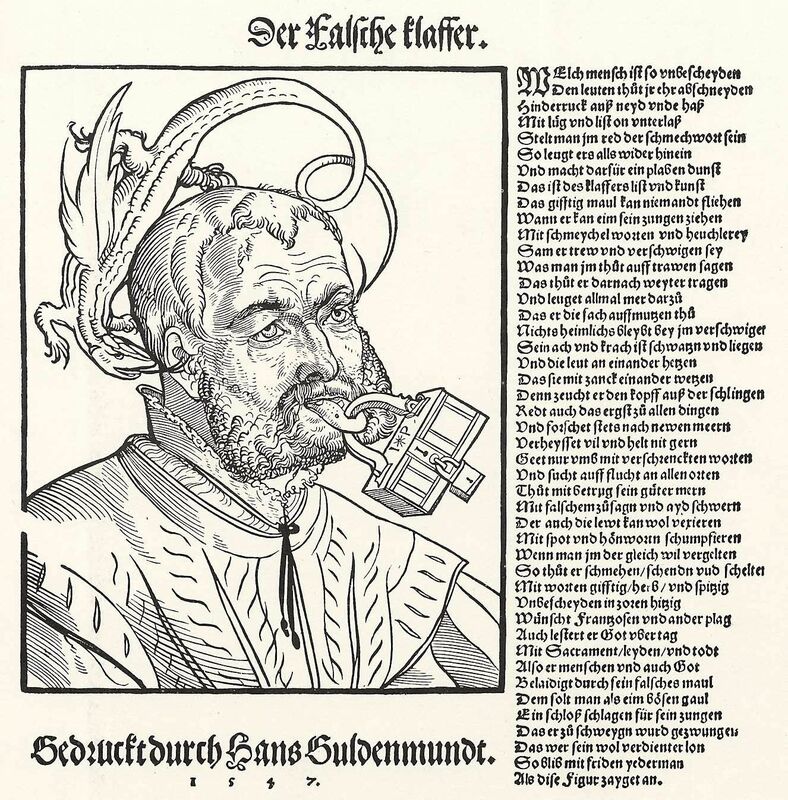 He was one of the so-called "Little Masters", the artists who were influenced by Albrect Durer and whose work showed it, and who also worked very, very small ( as with Albrecht Altdorfer (1480-1538), Sebald Beham (1500-1550), and Barthel Beham (1502-1540), for example). He may have been a pupil and/or worker in the studio of Durer, or maybe not--but his work certainly showed the influence of the great artist. His later work, too, I think shows the influence of the Italian painters, and Pencz may or may not have visited Italy to study them, the case being not so very clear. In any event, whether he traveled to Italy or not or worked directly with Durer or not, his work certainly shows the influence of both even if there is no proof of a paper trail. 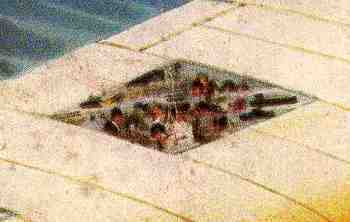 The Life of the Children of the Sun, published by the Italian publisher Gabriele Giolito de Ferrari, and said to be in the year 1533. I've not yet been able to find the book's title or the author's name--a task that on the face of it seemed simple--and hope to be able to do this, soon. The other images are from Folge der Planeten in which the wood engravings of Georg Pencz appear. And so the series of images depictng the children of the Sun, Moon, and Chaldean planets Mercury, Venus, Mars, Jupiter and Saturn, as they progressed towards their middle-life, and in their chosen professions as mythologically influenced by their planet. 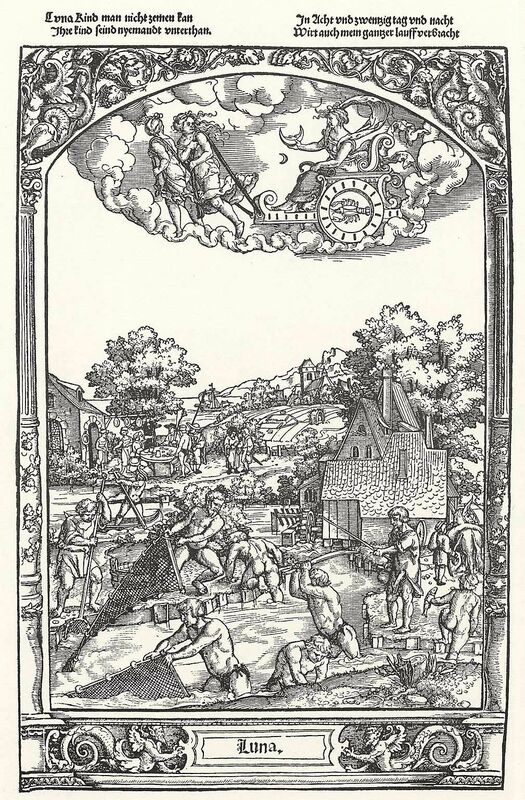 Life of the Children of the Moon, by Georg Pencz (1500-1550), in the Folge der Planeten. Fish are goaded (by what I thought was supposed to be a thistle) in their hunting pursuit, which was formerly known as "fishing" but in this case could be know as "humaning". To be eaten no more forever. A revolt of edible plants takes place in Un Autre Monde, determined to rise and overcome their lethal oppressors, determined not to be killed and eaten as food again. If there was a credible great creator of all things, it would seem that the most effective replacement system for expended energy would be something like photosynthesis and not the killing of other living things to sustain other forms of life. But so it goes here on Earth, with half of the biota eating the other half, with half of the being-eaten half being eaten alive. It just doesn't seem to be a wise way to conduct the business of existence. Earlier in this blog I posted about a lateral dissection of the human brain accomplished via 150-year-old engravings. The images below come from a series of atlases created by Gustave Joseph Witkowski (1844-1923) called Anatomie Iconoclastique, and include the one I have here on the skull and brain. I think that they are gorgeous works. (The original, available at our blog bookstore, measures about ten inches at its widest). Appeasement, Hitler's Promise, and Peace in our Time, 1938. Here's a slathering piece of propaganda published by the Militant Christian Patriots (of London) on how the British government was dealing with the Nazi/Seudeten problem in September 1938. In their gunsights was Anthony Eden, who was seen by this group as a Bolshevist supporter, and who as the Foreign Minister of the United Kingdom under Prime Minister Neville Chamberlain was against the appeasement policy of the government towards Nazi territorial acquisitions, particularly in this case with Czechoslovakia. Eden. identified here as "backed by the Zionists, Fabian_Scoailists and "pacifist" League of Nations enthusiasts" was a multiple threat, and seen to be capable of directing national policy towards a confrontation with Germany over the looming Czech problem. The Christian Militants saw it all differently, tending to agree with Hitler on the Czech matter, and seeking to keep the U.K. out of confrontation and thus away from war by giving Hitler (and then Mussolini) what they demanded to satisfy their growing national needs. Eden resigned his position earlier in the year, in March 1938, but stayed in the fray. As everyone knows things went badly at the end of the month of September, 1938, with Chamberlain letting everything go and appeasing Hitler in the Munich Conference (known to the Czechs as the "Munich Dictates" and worse) in which bits of Czechoslovakia were given to Germany in a series of meetings in which that country was not invited. "My good friends, this is the second time there has come back from Germany to Downing Street peace with honour. I believe it is peace for our time. We thank you from the bottom of our hearts. Now I recommend you go home, and sleep quietly in your beds." Less than a year later it would all come crashing down, the appeasement policy (such as it was) a shambles, and the world plunged into war. Chamberlain would last as P.M. for a little longer, until May 1940, when he was at last replaced--by Winston Churchill. This pamphlet is a reminder that it wasn't simply right-wing groups (like the Lindbergh-sponsored "America First") that sought to keep the United States out of the war in Europe in 1940. It was a "European War" to these groups at this point--it was of course a World War, World War II, but it just didn't involve the United States, yet. The lefty "Keep America Out of War Committee" produced this vicious pamphlet, equating the war with the sole pursuits of "big business", connecting the "filthy mess" of fighting to connected interest of Parliament and the Reichstag in producing a money-making scenario for the controllers of industry. Now there are plenty of ugly wartime relationships during WWII--and not just those that existed through December 1941, but were in place for the duration of the war. But the arguments made in this pamphlet seemingly in support of the average working man protecting them from the multinational corporations who were conducting the war for the sake of profits takes the argument into an entirely different and bad place. ("The best way we can help the people of Europe is to keep Wall Street out of it" claims the pseudonymous author, Mike Quinn. Besides, as he continues in the section called "We're Too Busy": "We've got a first class job on our hands straightening out this civilization we have right here". Too busy for war. Lecture Manual for Air Raid Warden Instructors is in its way a remarkable document revealing some of the thinking and interpretation on the chances for the invasion of the American west coast just a few months (March 9, 1941) following Pearl Harbor. Undertaken and published by the Workers of the Writers' Program ('of the Works Projects Administration in Northern California") it was a product of one of the number of the Roosevelt administration's social engineering programs that had a long lasting effect. The first chapter, "It Can Happen Here" is more about the mechanics of responding to an enemy aerial attack than qu8estioning whether the attack might occur--the writer assumes that such an event was possible, and so precautions and preparations must be made--there is no question mark at the end of the chapter's heading. It seemed just a little unusual to me--not being a reader of chess literature--to see what seemed the negative of the knight's movements on a truncated board. But I guess this is what we calculate and just not entirely "see" while playing. in which the knight starts off life at the top right square (h8) and finishes at f3. In the 1803 edition of the work it is pointed out that the knight can be started from any square and moved 64 times to accomplish this same feat. And as they say, many more are available. A continuation--of sorts--of "Earths Inside the Earth", which is part of the History of Blank, Empty and Missing Things series. This wonderful bit of Found Surrealist artwork is part of a series of patent drawings by Sir Hiram Maxim, inventor of many things (including the Maxim Gun, which was the first portable fully automatic machine gun, but not the electric light bulb as he claimed, and many many other things) for a hollow spherical structure made to deceive, thrill and confuse the people inside the structure with parabolic mirrors. An amusement. This is not out-of-keeping for Maxim, as he also designed a "Captive Device Flying Machine" for amusement parks that every kid today would recognize. But I do like this drawing, the third of four for the patent application, and I guess it gives a pretty good approximation of what folks might see inside his amusement palace of combined optics and sensory confusion. 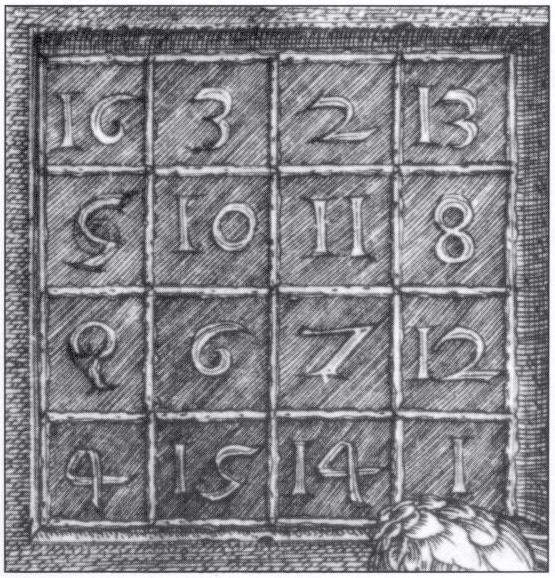 "The name Magic Square, is given to a square divided into several other small equal squares or cells, filled up with the terms of any progression of numbers, but generally ah arithmetical one, in such a manner, that those in each band, whether horizontal, or vertical, or diagonal, shall always form the same sum." --from the very busy Charles Hutton's translation of Jean Etienne Montucla's edition of Jacques Ozanam Récréations mathématiques et physiques (1694, 2 volumes, revised by Montucla in 1778, 4 volumes) and the whole thing revised in an English edition of 1844 by the appropriately-names Edward Riddle, and available online at Cornell's collection of historical mathematical monographs. That was sort of a simple introduction to magic squares, tortured by my note on the quote's parentage. Nevertheless, leafing through a copy of Ozanam's work I found a lovely little (literally speaking, as it is about 1/2 inch by an inch) 3x3 multiplication magic square for the happy sequence of 1, 2, 4 ,8, 16, 32, 64 and 256. (That means that each of the nine numbers may appear only once, and that the product (4096) must be the same for each column and row). It is a nice little problem, and I was just surprised to see it in such spare simplicity. These also are a half-inch (or less) and about two inches long...they're just very attractive. But I guess I cannot leave the subject of "pretty" magic squares without referencing a "beautiful" one, and this being one of the earliest inclusions of a magic square in Western printmaking, and surely one of the most beautifully-encumbered one in general, from Albrecht Durer's mega-popular masterwork, Melancholia (printed 1514). The magic square had been around for at least 2,000 years at this point, starting up evidently in China between 650-1000 BCE before making its way west through the Arab lands and then through India, and finally into Europe around the 13/14th century, and then into art prints with Durer in 1514. I doubt that Abraham's Rees' "Magic Circle of Circles" (published ca. 1814) is "pretty", and I'm not so sure it is "beautiful", but I am sure that it is "elegant". In any event these are just a few samples that I had close to the top of my head--no doubt there are endless others, but these are some that have attached themselves longest to me (with the exception of the Ozanam, which are new).